Looking for low rates and fast coverage when you are shopping for Tow Truck Insurance in Laredo Texas and the nearby areas? Pathway Insurance is a leading independent agency offering competitive rates on Tow Truck Insurance in Texas, Florida, Georgia, Tennessee, Kentucky, Indiana, Ohio, Maryland, Minnesota, and Michigan. In a previous post we discussed why you want to take avoid taking shortcuts on Your Texas Tow Truck Insurance. The reason why is because it can turn sideways on you quickly costing you money, customers, and potentially your entire business. Let’s now revisit a claim scenario involving Junkyard Joey Jaden owner of the company formerly known as Stupor Junkers Towing and renamed Junkyard Towing. At first appearance Junkyard Joey seems to have struck the deal of a lifetime—he bought Stupor Junkers Towing for the price of 1$ despite the fact the company made millions of dollars last year. How did Junkyard Joey come into such a great deal? In reality the sale was a sham transaction by his brother Seth. Seth got into a bad situation with his preferred Texas Tow Truck Insurance Company and he found himself being canceled and facing a 300% increase in premiums by the next available company. Seth was accustomed to taking a big chunk of the revenue from Stupor Junkers Towing as his personal income and now he was facing more than a $1 million increase in insurance premiums, which meant he would need to take a $1 million pay cut himself and that just did not sit right with Seth. Seth comes up with the idea to sell Stupor Junkers Towing to his half-witted brother Junkyard Joey and start up a brand-new company under the new corporate name of Junkyard Towing as a new business venture. A new business venture, Seth concluded in his mind, would start off with a clean claims history and be able to get good rates. Seth even went as far as having a new website built for this new sham company and contacting his customers to let them know about the name change. Seth was convinced this tactic would work because it had worked for him once before when he acquired the assets of his former and now deceased father-in-law Billy who died suddenly at age 46 from a sudden heart attack. Billy owned Bills Towing and was in the middle of a number of lawsuits and because of the stress keeled over and died suddenly. They say lightning can never strike twice but it sure did in the case for Seth so he believes this idea of his will work out to his benefit like it did last time. 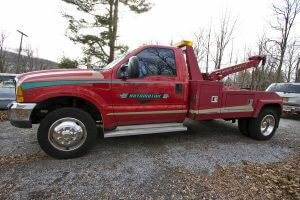 Laredo Texas Tow Truck Insurance — Will This Work? Seth has his brother Junkyard Joey start calling around to get quotes on his ‘new business’ venture. He contacts Penelope at PU Something Stinks Insurance Brokers and Penelope advises Seth that the quotes will take about 10 – 14 days or so because of the size of the business. Penelope of course is thrilled to quote such a large account. Penelope figures she will make about $50,000 in commissions on this account if she is able to sell it. Penelope works hard on the account and she convinces a regional company to give her an exception to write the account. The underwriters are very reluctant and at first say no but Penelope is insistent and gets the vice president of the company to authorize writing this new venture called Junkyard Towing with 200 vehicles. Penelope gets the rate quotes and calls Joey to let him know, Joey in turn contacts his brother Seth to go over the numbers with him. Seth looks at the proposals and they appear to be about 25% more than what he was paying before with his other company but he decides he has no choice and tells Joey to proceed with the new policy. Penelope gets the call from Joey, and she immediately contacts the underwriter to bind the policy and the underwriter explains to Penelope there are still some details that need to be cleared up but they will go ahead and bind the account with the stipulation that they receive all underwriting documentation within three weeks. Penelope contacts Joey to let him know they can bind the policy but need some outstanding requirements that she will email to Joey. Joey calls Seth up to tell him everything is fine and he forgets to tell him about the outstanding requirements that are necessary to keep the policy in force. Penelope dutifully sends over the outstanding requirements to Joey— who never checks his email, and after 10 days of receiving no response from Joey, Penelope decides to call looking for the outstanding documentation. Penelope calls Joey a number of times over the next few weeks without any response and the insurance company sends a notice of cancellation to Joey owner of Junkyard Towing. Finally Seth finds out from Joey about the requirements 3 days before the new policy is about to be cancelled, reads them carefully and his blood turns ice cold as he reads what is required to continue the new insurance policy just purchased, and needed to keep their business up and running. We will find out in our next article what information they needed to provide. Don’t miss this post! Tow Truck Insurance Laredo Tx — Open Seven Days per Week! Did you know licensed agents are available seven days per week with our company up until 5 PM Central Standard Time? You can reach us by telephone Monday through Friday until 5 PM by telephone when you dial 800-998-0662. You can also speak with a licensed agent by using our chat system that is available seven days per week.